The following procedures are part of a process to ensure that student concerns about experiences at the University are addressed in an informed and appropriate manner. Due to the size and diverse nature of our scholarly community, each school maintains its own processes for addressing a variety of student life issues, including students' concerns about experiences in the classroom or with faculty or staff. Experience has shown that most student concerns are best resolved in a collaborative way at the school level, starting with the program director and then Student Affairs. Students with questions about the procedures may contact Student Affairs at sps-studentaffairs@columbia.edu. The grievance procedures available through the office of the Vice President for Arts and Sciences are intended to complement, not substitute for, the procedures available in each of the Schools, and they treat a considerably more limited range of issues. They are designed to address only those cases involving professional misconduct by a faculty member of Arts and Sciences in an instructional setting in which there were significant irregularities or errors in applying School procedures. If the professor/instructor at issue is not a member of the Arts and Sciences faculty, the student should consult the particular school for its procedures. For academic complaints relating to Arts and Sciences faculty, the Arts and Sciences procedures, like those of other schools, provide for a final appeal to the University Provost. 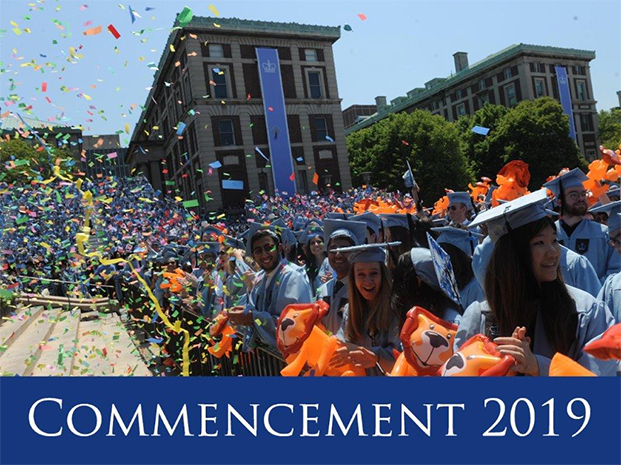 Columbia University is an academic community committed to fostering intellectual inquiry in a climate of academic freedom and integrity. Its members - students, faculty, and staff alike - are expected to uphold these principles and exhibit tolerance and respect for others. The University Statutes and the general policies of the University describe the roles and responsibilities of faculty in their teaching and research. These policies and procedures can be found in the Faculty Handbook at www.columbia.edu/cu/vpaa/fhb/. The University's commitment to the principle of academic freedom is defined in Section 70a of the University Statutes. That commitment assures officers the freedom to determine the content of what they teach and the manner in which it is taught and the freedom to choose the subjects of their research and publish their results. It also guarantees that they will not be penalized for expressions of opinion or association in their private or civic capacity. In conducting their classes, faculty should make every effort to be accurate and should show respect for the rights of others to hold opinions differing from their own. They should confine their classes to the subject matter covered by the courses and not use them to advocate any cause. The Office of Equal Opportunity and Affirmative Action (EOAA) is responsible for managing Columbia University’s Student Policies and Procedures on Discrimination and Harassment and for coordinating compliance activities under these policies and the applicable federal, state and local laws. It has been designated as the University’s Compliance Office for Title IX, Section 504 of the Rehabilitation Act, and other equal opportunity, nondiscrimination and affirmative action laws. Students, faculty, and staff may contact the EOAA Office to inquire about their rights under University policies, request assistance, seek information about filing a complaint, or report conduct or behavior that may violate these policies. Complaints of gender-based misconduct are processed through the Office of Sexual Respect, at http://sexualrespect.columbia.edu. The use of the term “gender-based misconduct” under these policies and procedures includes sexual assault, sexual harassment, gender-based harassment, stalking, and intimate partner violence. Complaints against the School's faculty that allege scientific or scholarly misconduct are also evaluated using other procedures. These procedures are contained in the Statement on Professional Ethics and Faculty Obligations and Guidelines for Review of Professional Misconduct, available at http://www.columbia.edu/cu/vpaa/handbook/appendixc.html. The Associate Dean of Student Affairs or their representative is available to help students informally resolve problems with any faculty or staff member, both within and outside of the School. Complaints should ordinarily be brought within thirty (30) days of the end of the semester within which the conduct complained of occurred, or no later than the beginning of the next term. Students who are dissatisfied with the outcome of the informal resolution may submit a formal grievance in writing to the Associate Dean for Student Affairs. The merits of the formal grievance are evaluated within the context of the University and SPS policy. If a student is dissatisfied with the outcome, the student may submit an appeal of the decision within five days of the date of the decision notification. The appeal should be addressed to the Dean of the School of Professional Studies. The University's Ombuds Office serves as an informal, confidential resource for assisting members of the University community with conflict resolution. The Ombuds Office provides information, counseling and referrals to appropriate University offices. The Ombuds officer will also mediate conflicts if both parties agree. However, he or she does not have the authority to adjudicate disputes and does not participate in any formal University grievance proceedings.